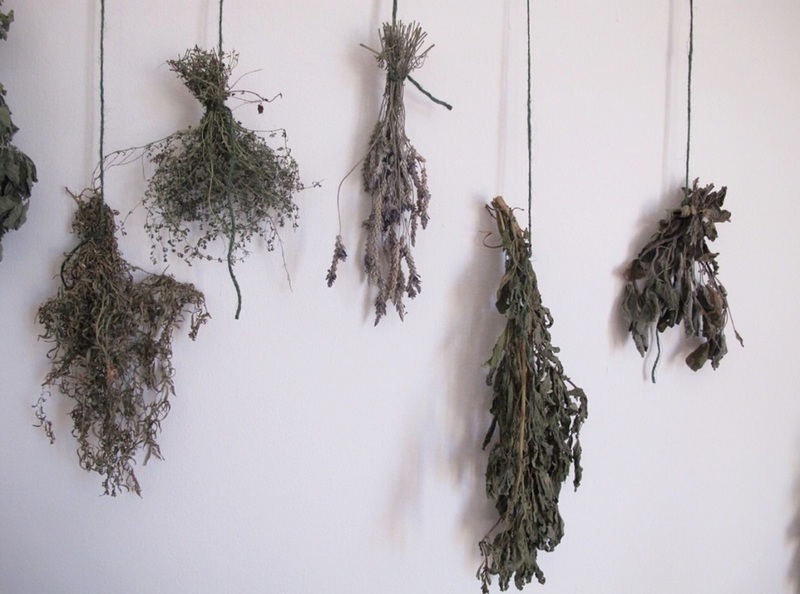 GUEST POST: Chad's Dried Herbs — urban. apron. Today on Urban.Apron., I'm featuring my first Guest Post! It's my way of highlighting other food bloggers in community that have inspired us all and are doing big things in the kitchen. Today's guest post is a special one. Well, because not only is it my fiance, but it's a man I'm constantly inspired by in the kitchen. If you'd like to see for yourself, check out his blog, A Man's Cutting Board. One thing Chad has introduced me to is drying our own herbs. We started drying herbs in his small Brooklyn apartment. Now, we use them in everything - like these rosemary roasted almonds. Check out his blog post below and try this out yourself! This past fall marks the third year of mine, drying herbs. I find it very difficult to throw away perfectly good herbs when cold weather arrives. So what better way than to preserve them for future use during the winter months? It's a tradition that started while I was living in Brooklyn, and one that I intend to practice every year. You should as well. Find a spot in your home to dry your herbs. Depending on how much your drying, hang a string to tie herb bundles to. Tie each individual herb together in bundles. Hang upside down from string. Leave to dry for 4-6 weeks. Make sure they are away from direct sunlight and moisture. Remove when dried. Spread news paper across your kitchen table and crumble the herbs separately. Place each herb in its own individual jar and label. So, if you're looking for something to do this winter, give this a try. I think you might enjoy your meals even more.